Enter to win a book, cookie cutter and recipe card! Giveaways, Author Notes, Food Pairings & More! 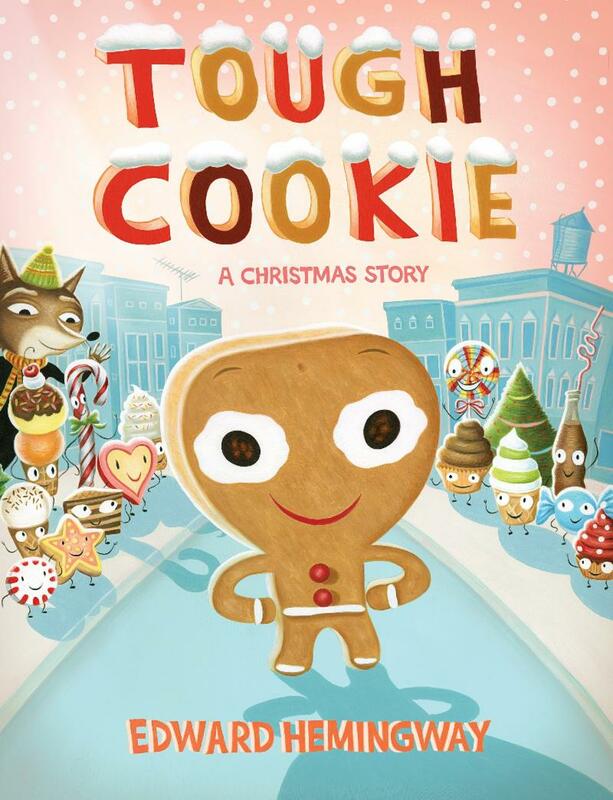 In this month's edition, you'll meet a Christmas cookie who seeks a new identity after discovering he does NOT taste good in Edward Hemingway's Tough Cookie: A Christmas Story. Enter below to win a copy of the book, along with a special cookie cutter and recipe card! 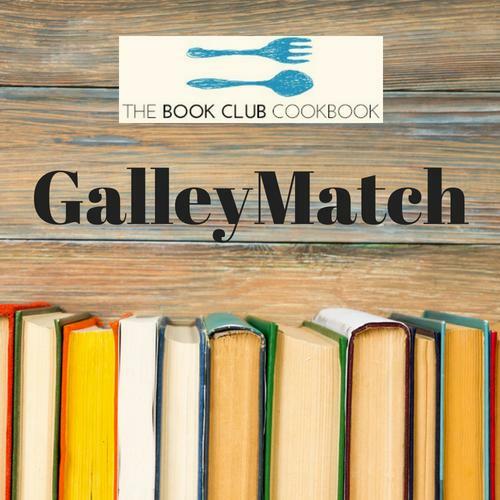 ﻿If you haven't already, please register for GalleyMatch , a free service that gives your book group the chance to preview new fiction, nonfiction, kids' and YA titles, and cookbooks. Looking for the perfect gift for an avid reader (and eater)? 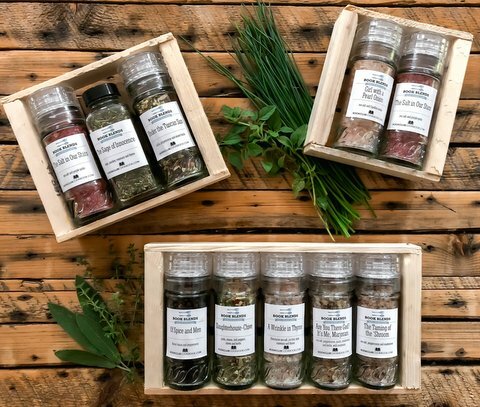 Book Blends organic spices have clever literary titles (A Wrinkle in Thyme, Of Spice and Men, The Salt in Our Stars, and more!). Order by December 15th to receive the blends of your choice in time for Christmas. 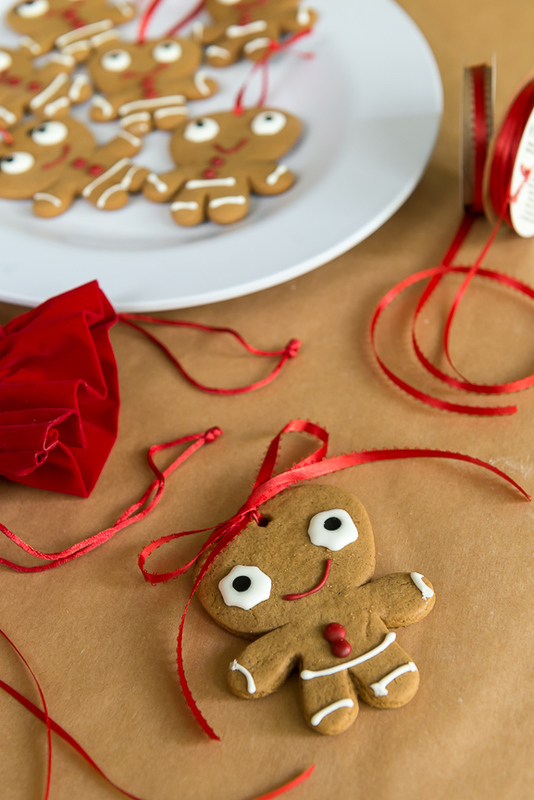 When a cookie discovers he does NOT taste delicious, he has to find a new identity in this clever twist on a holiday classic. This picture book is my personal twist on the classic Gingerbread Man folktale. It also features two original recipes for the entire family to make during holiday baking and craft time. As a kid I was always a big fan of the holidays, and traditional activities like making gingerbread houses and decorating the tree were—and are—the best part of the season for me. Stringing popcorn garlands and melting candy for gingerbread cottage windows, especially when surrounded by family, friends, eggnog, and Christmas carols, is as good as it gets. My hope is that Tough Cookie will inspire families to share in creating Christmas cheer together. 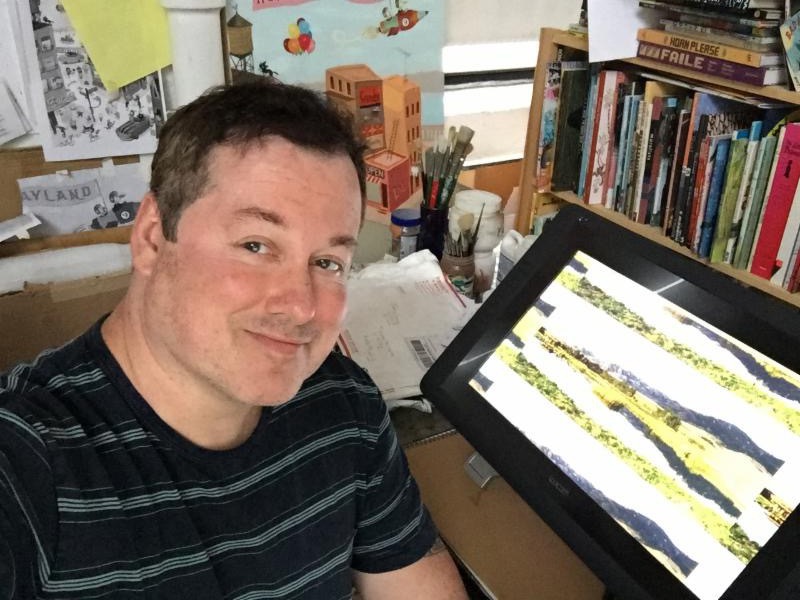 But most importantly, I hope kids and adults will enjoy the book’s themes of friendship, making the best of what you’ve got, and that being yourself is always enough. I believe these are essential lessons to remember in any season. 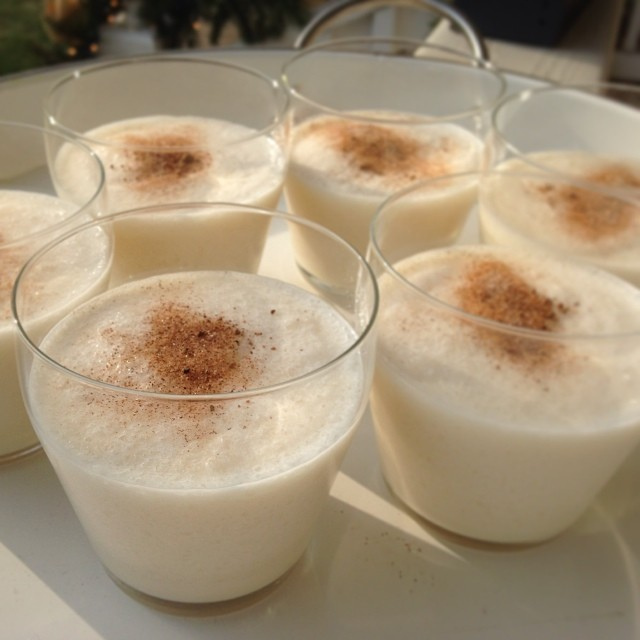 Author Food Pairing: "Cookie and Fox would appreciate a creamy mug of eggnog after a day of running around snowy Christmastown."